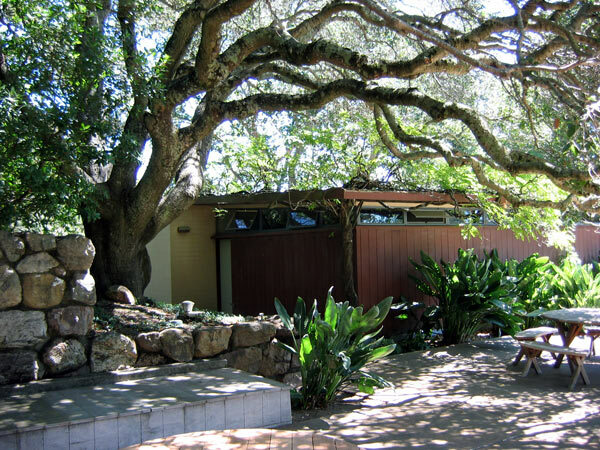 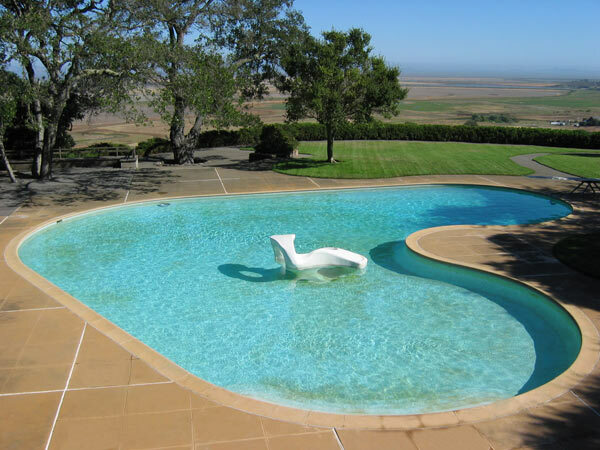 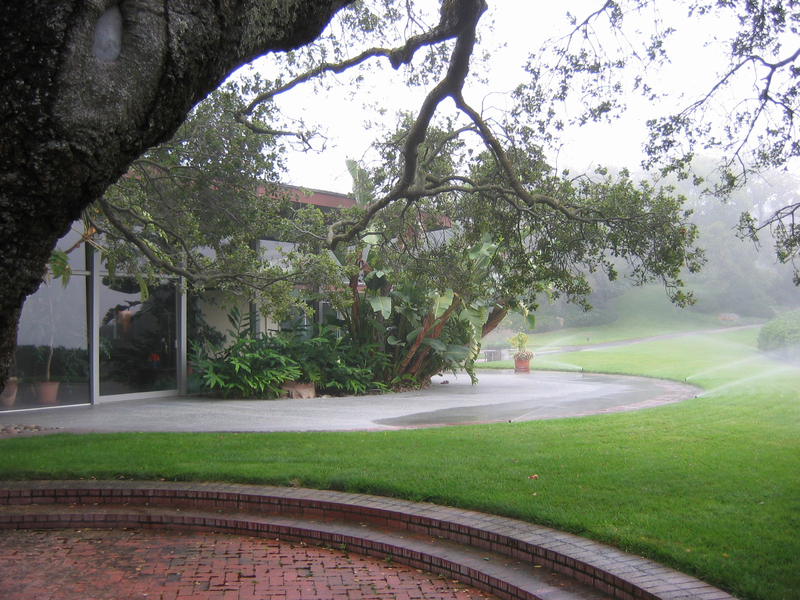 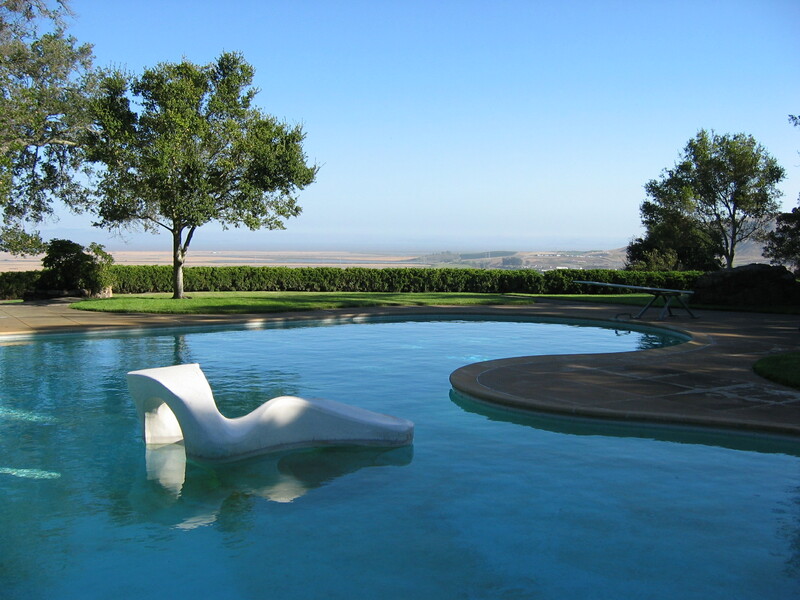 Landscape architect Thomas Church, with Lawrence Halprin and architect George Rockrise, designed the Donnell Garden in Sonoma for the family of Dewey and Jean Donnell; today the garden is a Modernist icon and one of the best preserved examples of its time. 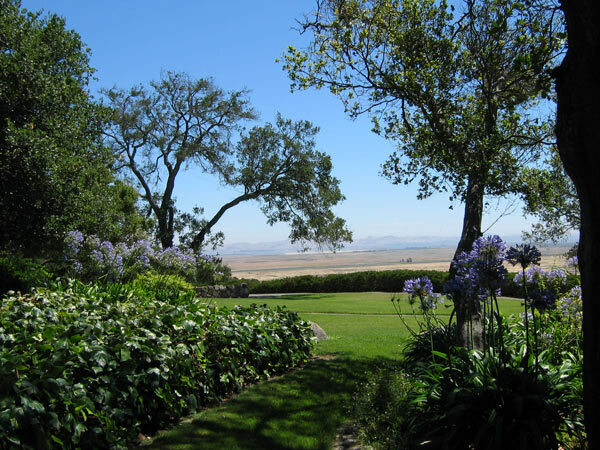 The family chose as a location a favorite place on their cattle ranch for picnicking, a hillside overlooking the northern extensions of San Francisco Bay. 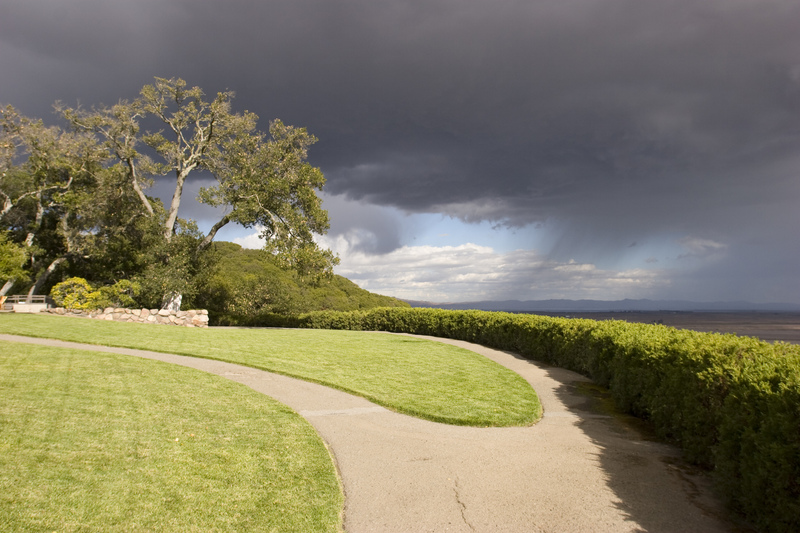 Completed in 1948, the garden was soon famous for its unusual, abstracted forms. 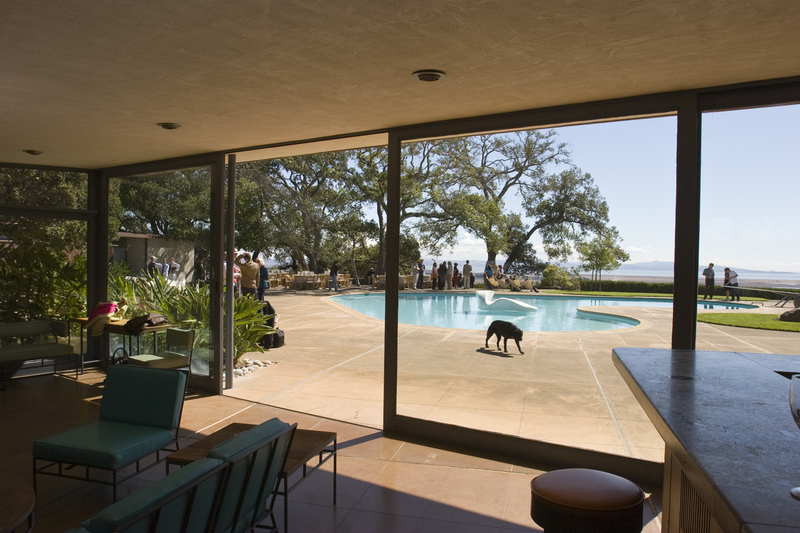 Frequently photographed, it came to stand for a modern style of California living that took place both indoors and outdoors, with fluid transitions between these equally important places. 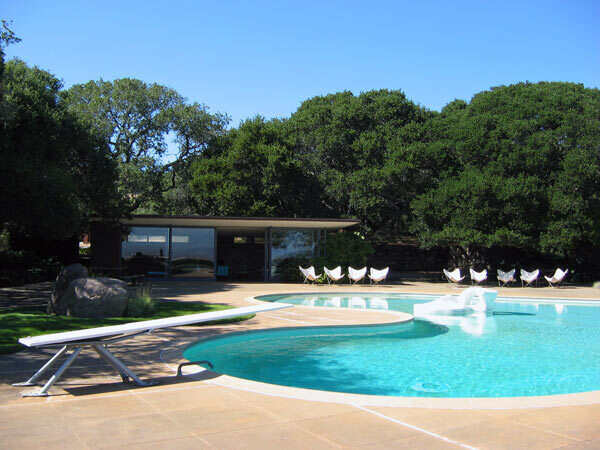 Designed at a time in which California’s economy was booming and its population rapidly increasing, Church conceived a garden offering places to relax, entertain, swim, play, garden and barbeque. 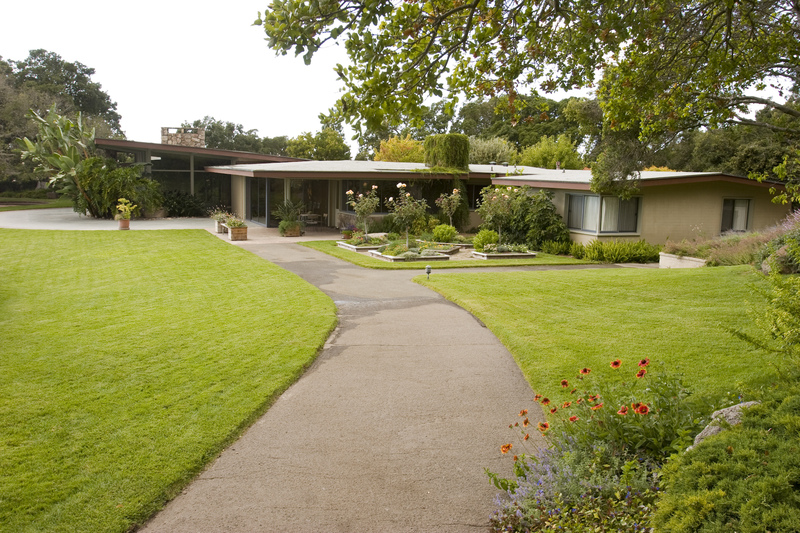 At the Donnell garden, Church responded to the particular characteristics of site and client while exploring new forms. 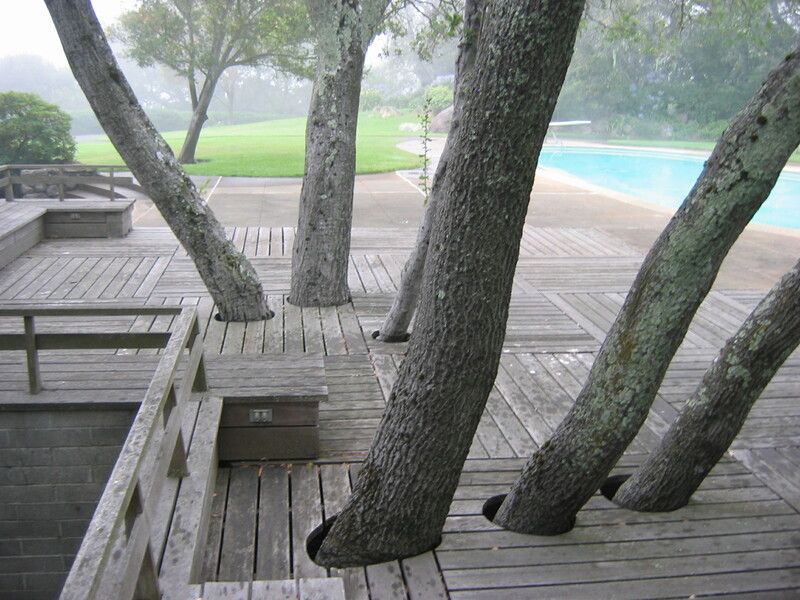 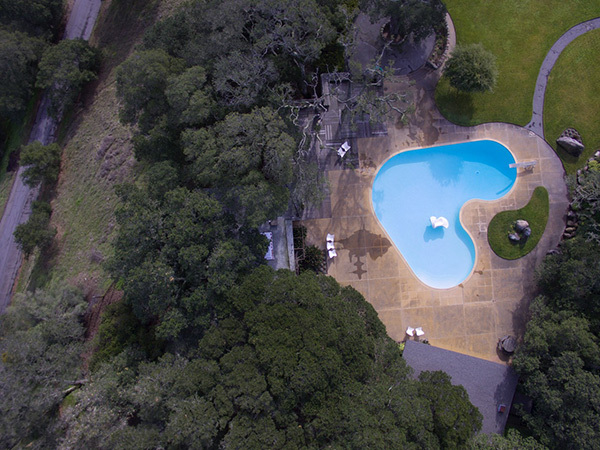 Of particular note was the biomorphic kidney-shaped pool; its Adaline Kent sculpture which functions both as a focal point and a tiny, inhabitable island; and the floating deck, designed with a checkerboard of wooden boards that preserved existing trees while extending the outdoor living space.